Are you ready for a BRILLIANT idea?! This is one of those ideas that seems so simple and when you hear it, you almost want to slap yourself for not coming up with it in the first place. We went to celebrate Thanksgiving at my uncle’s house this year. One of our relatives, Aunt Tamala, brought this dip and literally had everyone stumped as to what was in it. That’s when she told us. Puree cottage cheese and garlic salt together until smooth. Serve with pita bread. i've had a cottage cheese dip before. it was good, but it wasn't pureed. i think that would make all the difference! yum! definitely trying this. I'm so excited to give this a try. I've done the ranch packet and tub of cottage cheese and that is super good. But this is even easier! I am a black pepper devotee..and often have it on cottage cheese. That would be a nice 3rd ingredient ! Sometimes simple is best! This sounds really good! 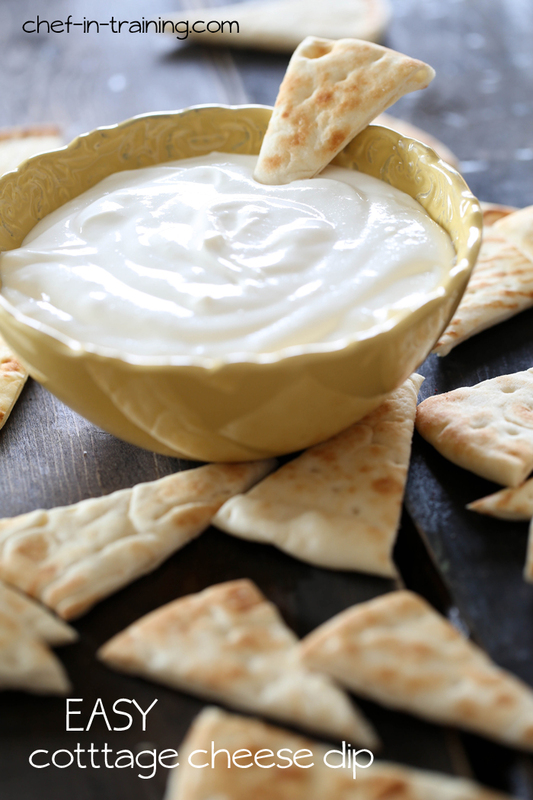 Our family has made a garlic cottage cheese dip for many years. We use 1 block of creamed cheese, one pint of cottage cheese, garlic salt or powder, squirt of brown mustard, salt and pepper and a little mild if needed. Great with potato ruffled chips. We make this but also add cream cheese and half and half. And we dont puree the cottage cheese. Been a Thanksgiving tradition for years! !